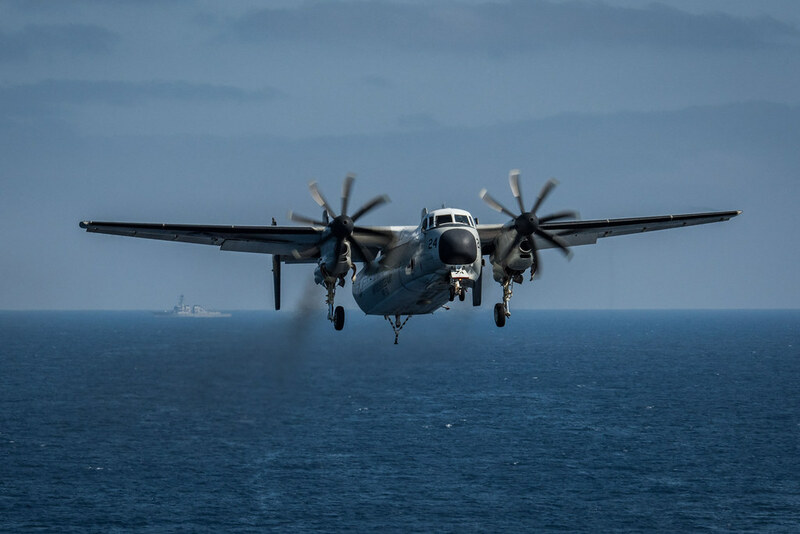 YOKOSUKA, Japan - The U.S. Navy contracted research vessel (RV) Petrel to survey the location of a C-2A Greyhound aircraft that crashed into the Philippine Sea en route to USS Ronald Reagan, Nov. 22. Embarked with U.S. Navy Supervisor of Salvage and Diving (SUPSALV) personnel, the vessel will depart from the Philippines in the coming days and proceed to the C-2A’s location at sea. Once on station, salvage experts will deploy a side-scan-sonar (SSS) and remote operated vehicle (ROV) to survey and map the ocean floor. After the survey is complete, SUPSALV will analyze the data and assign an appropriate vessel, equipment, and personnel for recovery efforts. The aircraft, located at a depth of 18,500 feet, was discovered Dec. 29, by a SUPSALV team using a towed pinger locator (TPL-25) system. The TPL-25 used passive sensors to “listen” for the C-2A pinger’s frequency. Salvage of an aircraft at this depth is unprecedented and the condition of the C-2A is unknown, making recovery very challenging. Every effort will be made to recover the aircraft and our fallen Sailors. RV Petrel is a 250-foot research and exploration vessel with advanced underwater equipment and technology, making it capable of exploring to 6,000 meters deep (more than 3.5 miles). Assigned to Fleet Logistics Support Squadron (VRC) 30, forward deployed to Japan, the C-2A aircraft was carrying 11 crew and passengers when it crashed. Eight personnel were recovered immediately by U.S. Navy Helicopter Sea Combat Squadron (HSC) 12. 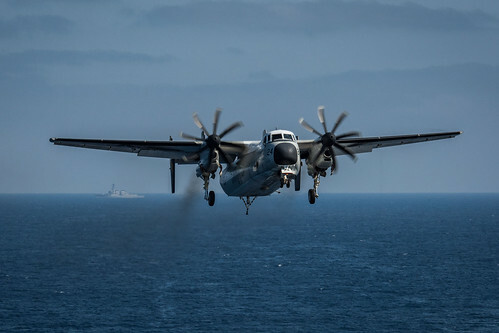 For the next three days, USS Ronald Reagan led combined search and rescue for three Sailors with the Japan Maritime Self Defense Force (JMSDF), covering nearly 1,000 square nautical miles before ending the search.